Finding my-god-my-skin-looks-amazing skincare is my joie de vivre. Let's talk cleanser first. I'm going to break this down so it's easy for the both of us. Packaging. It's a pump, thank god. It's 100ml which is decent. It's an opaque, plastic bottle, which is good for travel but also makes me sad as I can't see how much I have left. Worthy ingredients. Enzymes, proteins, MSM, Retinyl Palmitate, vitamins B2,C and E.
Usage. I apply this to dry skin and massage it in with glee for as long as I have available, to tone my skin and let the good ingredients have some alone time with my face. Results. Most importantly my skin is clean. 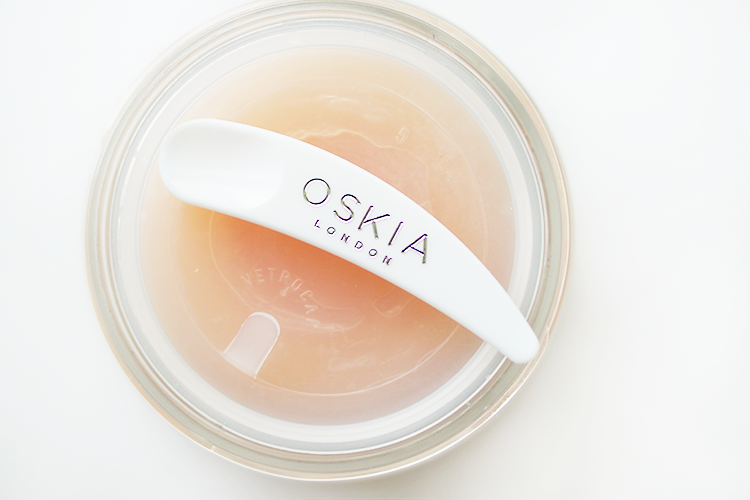 It feels nourished, not stripped, glowing and warm and healthy. But if you're into your skincare at all, you'll probably know most of that already! 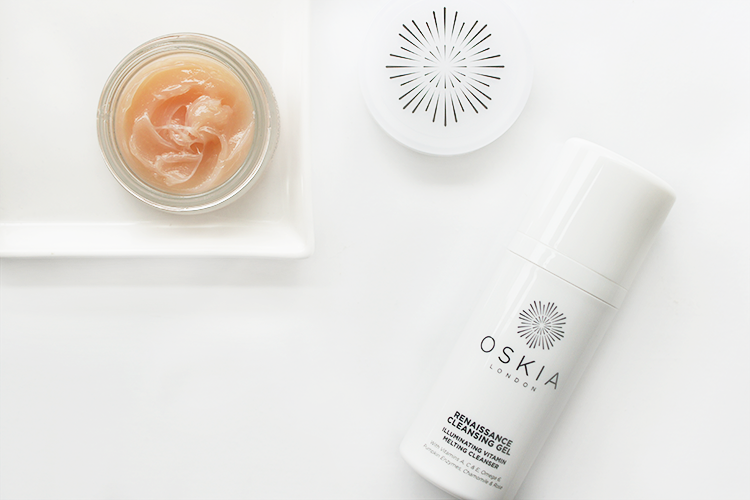 So let's talk about the little companion I bought my cleanser, in the form of the Oskia Renaissance Mask. Haat diggidy (words, what are they) damn I love this. 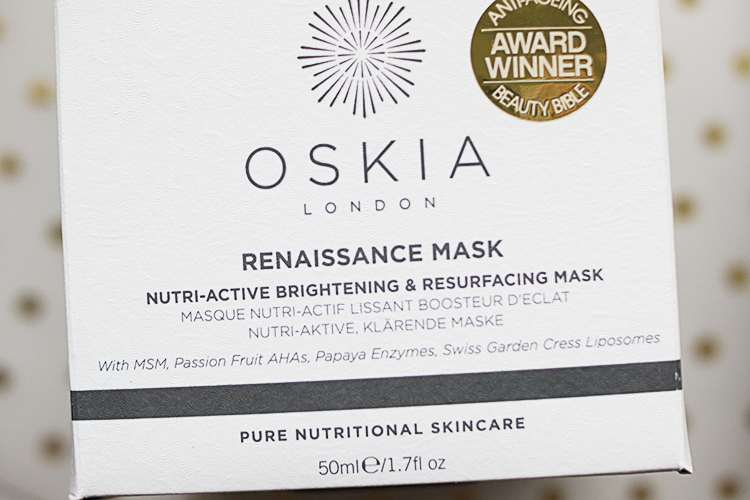 Nutri-active brightening and resurfacing mask. Hello. At first, similar in appearance to the cleanser. That same peachy hue. But quite different in texture. Namely a lot thicker. 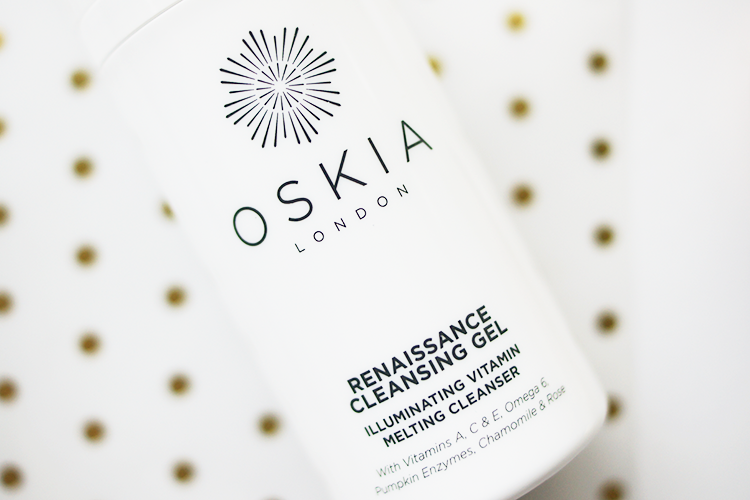 The Renaissance mask promises to increase skin brightness and clarity for all skin types, gently exfoliating with fruit AHA's and enzymes, whilst replenishing with prebiotics, amino acids and minerals and increasing cell turnover, giving you a far better shot at radiant, youthful skin. I put this on and I could tell I was going to love it. So it's no surprise that after about 7 uses and I'm well and truly hooked. I'm interested to see a more long term improvement in my skin but for the time being, my skin's radiant and glowy and nourished and pampered. It's a real, luxurious, spa feel. The packaging recommends 10-15 minutes but seeing as it doesn't try out on your face, I leave it on for much longer, usually about an hour. 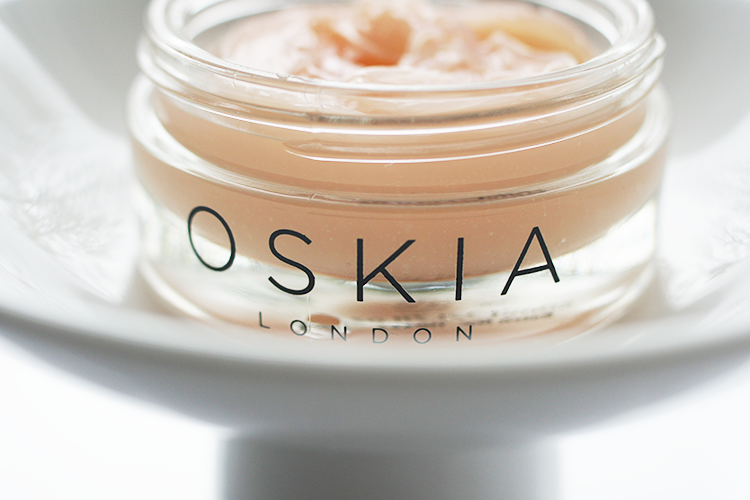 It comes in a nice, heavy, glass jar although I'm really cross at Oskia for firstly not making the spatula fit in the lid space (school boy error as i'm just going to lose it now) and making the cardboard packaging over twice the size of the product, not impressed at trying to be tricked into thinking I'm getting more for my money! The cleanser is really great but the mask has made it into my 'game changers' category. 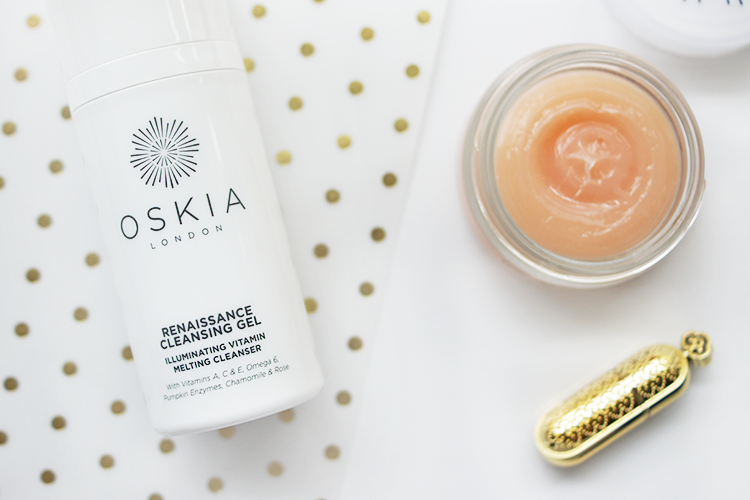 Don't be surprised if you see the Get Up And Glow and Bedtime Beauty Boost next. 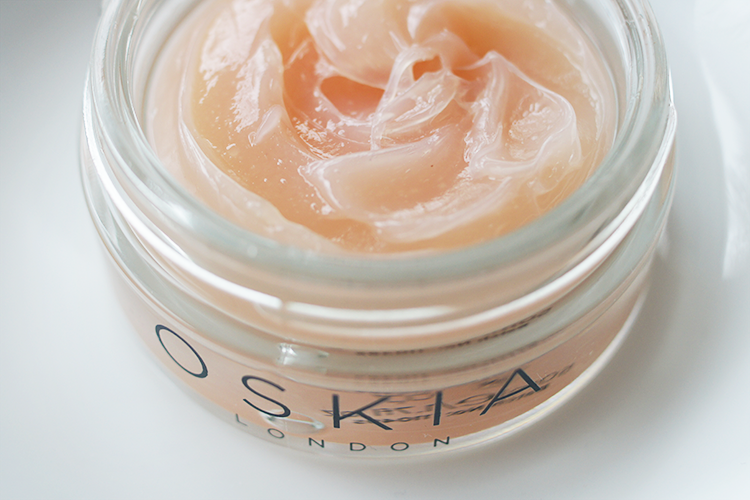 What are your favourite masks and cleansers? I'm a big fan of the Cleansing Gel, just repurchased my second bottle but I am yet to try anything else from their range. When I do though I think it will have to be the Mask!